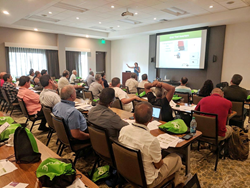 Due to high demand, altE brings its full-sized solar training conference to Puerto Rico, complete with CIAPR certified training, manufacturer workshops, beginning and advanced solar system design course and keynote speech from the president of ACONER. 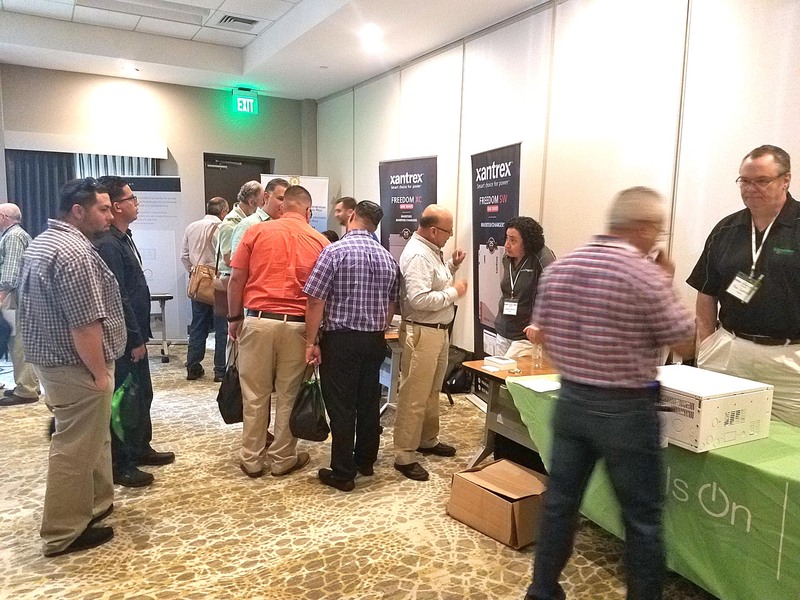 altE's August 2018 Puerto Rican conference offers certified workshops ranging from the basics to advanced micro-grid concepts. altE announced the date and location of its largest Puerto Rico based solar conference for solar installers and dealers yet. The conference will be held on August 8th and 9th at the Embassy Suites Dorado in Dorado, Puerto Rico. The conference will offer two days of learning and the ability to see new products, receive hands-on certified training and meet the solar and renewable energy industry's leading vendors and manufacturers. The first day will start off with a keynote speech by the president of ACONER, Eng. José Guzmán Jimenez, on the future of solar in Puerto Rico. In addition to the two day event on August 8th and 9th, there will be a specialized day of solar training ahead of the conference on August 7th. altE will provide a beginner introduction to solar and an advanced class for seasoned installers to further their knowledge. Solar and renewable energy has played an important role in the relief process and rebuilding efforts in the aftermath of Hurricane Maria. The altE solar conference for solar installers and dealers is an opportunity for solar professionals in Puerto Rico, and the surrounding islands, to augment their knowledge and skills in renewable energy, micro-grids and energy storage. The knowledge provided will enable them to strengthen their independence from traditional power sources, like electrical grids, that are susceptible to major weather events. The conference dovetails with the recent report from the US Department of Energy detailing its vision for building a hardened energy system in Puerto Rico—integrating renewable technologies like solar and energy storage into the island’s energy production capabilities. The conference will be held at the Embassy Suites by Hilton Dorado del Mar Beach Resort. The address of the resort is 201 Dorado Del Mar Boulevard, Dorado, 00646, Puerto Rico. Dorado is located a short distance west of San Juan. The conference and resort can be accessed in less than 40 minutes by car from the Luis Muñoz Marín International Airport outside of San Juan. The Embassy Suites Dorado can be reached by phone at 787-796-6125 to schedule accommodations or on the web here. The conference will include industry leading solar and renewable energy manufacturers. Scheduled to attend are Schneider Electric, Morningstar Corp, Xantrex, Midnite Solar, OutBack Power, Hanwha Q Cells, SimpliPhi Power, Magnum Energy, Trojan Battery, SolarWorld, IronRidge and Crown Battery. In addition to meeting with and talking to manufacturer representatives, attendees will be able to attend technical training sessions held by the manufacturers on topics such as energy storage (both lead acid and lithium based battery chemistries) and the specifics of solar energy production componentry. The conference will kick off on Tuesday, August 7 with a beginners workshop that offers an Intro to Solar Seminar from 9am to 3pm. The early bird cost for the introduction class is $99 until July 7th and then increases to $149. Also on Tuesday, August 7th there will be an advanced workshop on energy storage offered by Sonnen. This course will also serve to certify attendees to become a Sonnen certified installer. The cost of the Sonnen certified training is free and will run from 9am to 3pm. Wednesday and Thursday, August 8th and 9th, is the main conference event—which will consist of technical product trainings and access to manufacturer display booths from 9am to 6pm. Some of the product trainings will be eligible for CIAPR credits. Continental breakfast and lunch on both days is included in the entry fee, which is $129 until July 7th when it becomes $199. altE has been making renewable do-able since 1999. In addition to being one of the longest standing renewable energy equipment providers in the United States, they’ve also been hosting one of the largest solar conferences for solar installers and dealers in the U.S. for over eight years. altE’s headquarters and manufacturing facility is located in Boxborough, Massachusetts. altE has supplied solar equipment for projects on every continent in the world. Give an altE solar energy expert a call at 877-878-4060 with any questions about the 2018 altE Solar Conference Puerto Rico. Click here register for the 2018 altE Solar Conference Puerto Rico. Visit the altE at https://www.altEstore.com.